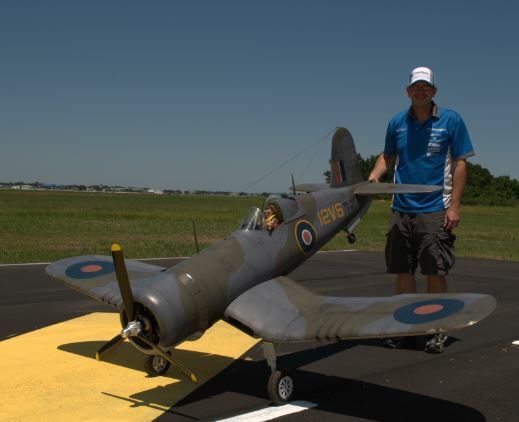 After all the dust had settled at Top Gun this year, we had a chance to grab some of the contestants and get the back story about their aircraft. 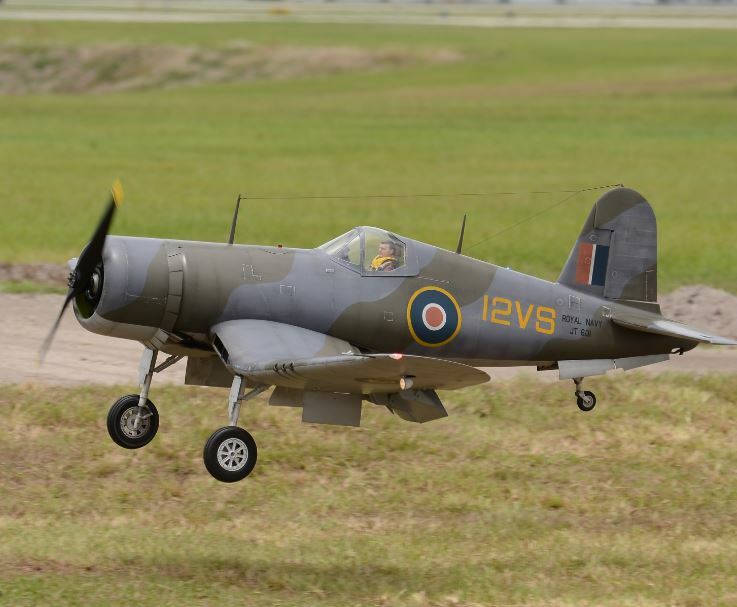 One of the more interesting tales was that of the F4U Corsair flown by Dino DiGiorgio. 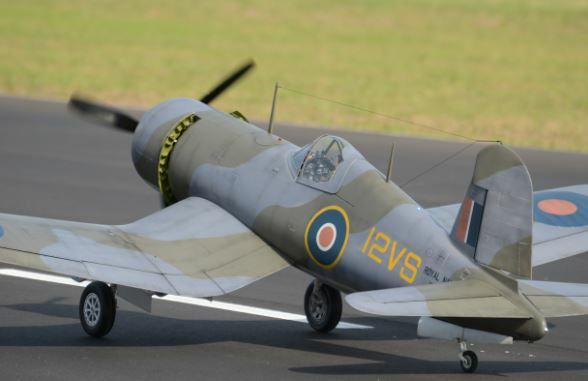 This beautifully executed aircraft carrier based WW2 fighter was all decked out in an unusual British Royal Navy scheme and if that weren’t enough to stand out, this particular Top Gun aircraft started out as a severely crash-damaged airframe. 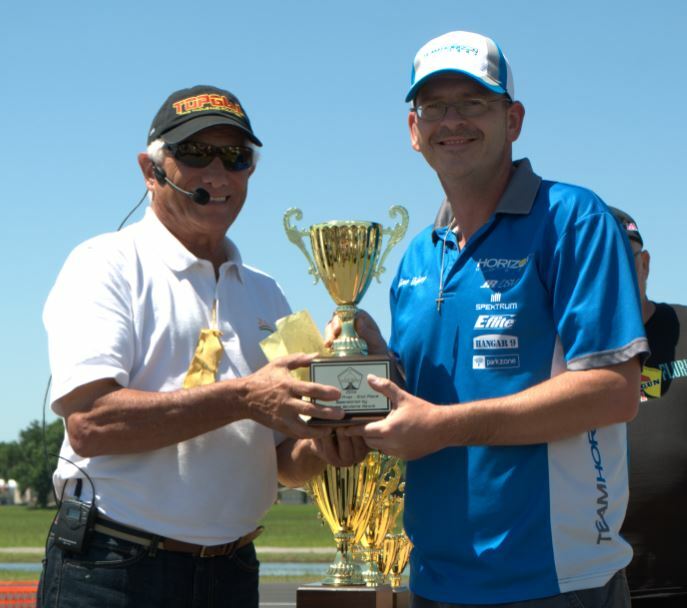 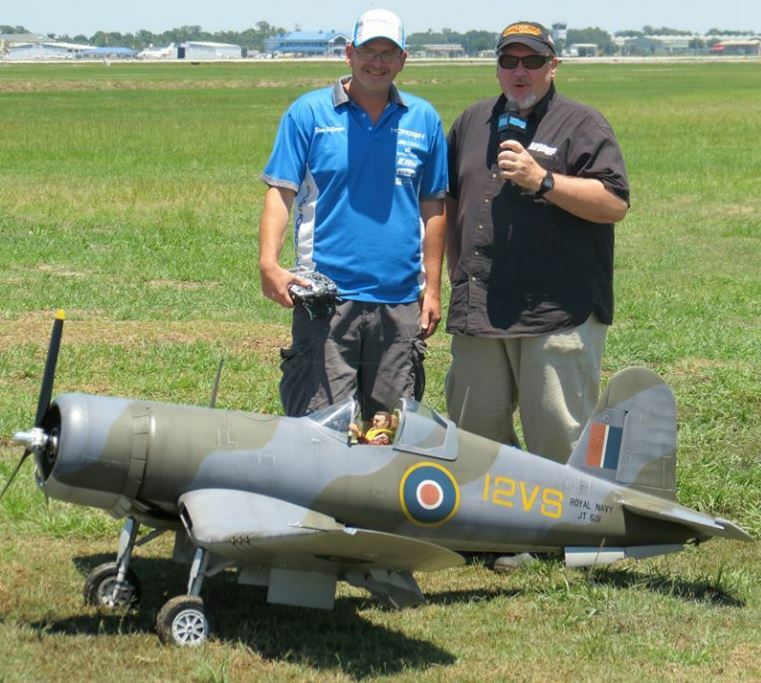 All that hard rebuild work paid off with Dino’s plane pacing Second in the Pro-Am Prop class. 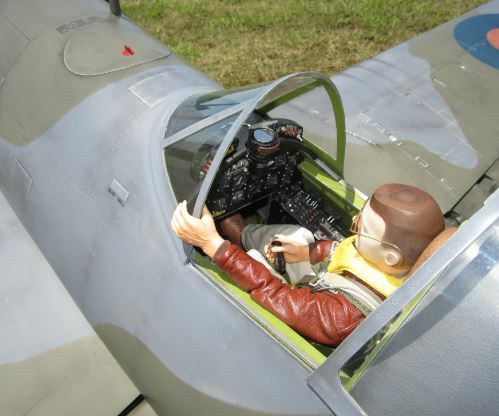 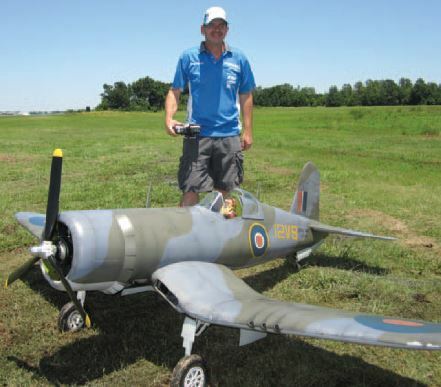 He earned a 118.875 total score and also earned the “Best Pro-Am Entry” award with the resurrected 110-inch-span, CARF Models F4U Corsair.